All new international students on F-1 or J-1 visas at the University of Washington are required to attend one Embark session, during which you will connect with other new and returning students, prepare for your cultural transition to the UW and U.S., and complete your compulsory immigration check-in process. Embark sessions are offered throughout International Welcome Weeks (Sept. 10-20), with some sessions tailored to different student levels. You must register for your chosen session. Please view the Embark page for more details and to register. 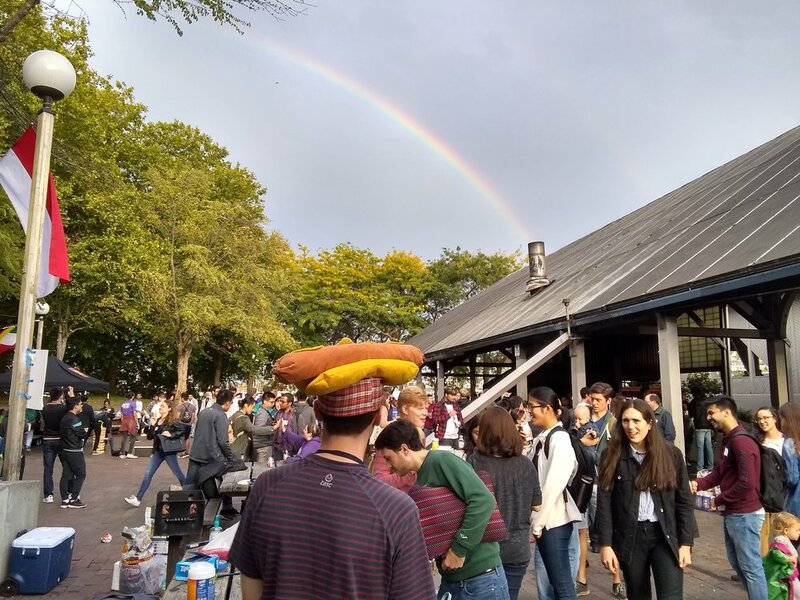 International Welcome Weeks also include a multitude of information sessions and social events designed to make your transition to the UW as smooth as possible. You will have the opportunity to learn about important resources available to you as a UW student, U.S. customs and lifestyles, and visa and immigration essentials; meet other local and international students; and discover Seattle. Freshmen who participate in Early Fall Start must attend the EFS Embark session on August 25 but do not need to participate in another session in September. However, we encourage you to participate in additional International Welcome Weeks activities. If you have any questions about Embark or International Welcome Weeks, please email orientation@fiuts.org. F-1 and J-1 visa regulations require you to report to campus after you arrive in Seattle. Before your Embark session, you must report your local address and submit your immigration documents online to International Student Services. Plan your schedule by checking out the full International Welcome Weeks schedule. FIUTS sends pre-arrival emails weekly starting approximately two months before your orientation program. These are also archived online. Are you a freshman participating in the Early Fall Start (EFS) program? A special Embark session for EFS international students will take place on August 25. If you are a freshman or transfer student, you are required to complete a First Year Programs (FYP) Advising & Orientation (A&O) program. Most International Welcome Weeks events are included; however, some social events require an additional fee and a ticket if you choose to participate. Tickets for these activities can be purchased in the FIUTS Welcome Lounge. This will continue to be updated as the schedule is finalized. Stop by the FIUTS Welcome Lounge. This is a great place to bring unanswered questions you have about FIUTS, the UW and Seattle. Join a UW campus tour! Tours are given by current UW students so this is a great opportunity to ask questions about different things on campus and get a student perspective. Spend a weekend at an American camp making friends and enjoying fun activities such as forest trails, sports, campfire, dancing and more. Parents, guardians and family members of international students are invited to attend this session to ask questions about housing, visas, academics, social activities, local resources, and other topics. Test your knowledge and win prizes at International Trivia Night! The more international your team is, the better your chances of winning. Join a team to answer fun challenges in neighborhoods throughout Seattle. Each clue will be a lively and interactive experience designed to introduce you to Seattle’s public transportation system, distinct neighborhoods, local business, parks, culture, and major attractions. The International Welcome Party is your official welcome to the University of Washington! Celebrate the completion of the Seattle Challenge or just join us for the party to meet other new international students and scholars. Pick up your free ticket to the Aquarium (a $28 value) at the Welcome Lounge. Those that have a ticket will meet FIUTS Facilitators at the time indicated on their ticket to go with a group to the Seattle Aquarium and walk around the aquarium at their own pace. Go for a scenic harbor cruise aboard the Salish Explorer. Enjoy views of downtown Seattle, including the port and the islands from Puget Sound! Meet current students, community members, and other new international students and scholars at an American-style BBQ. Enjoy a game of soccer or frisbee. Families welcome!